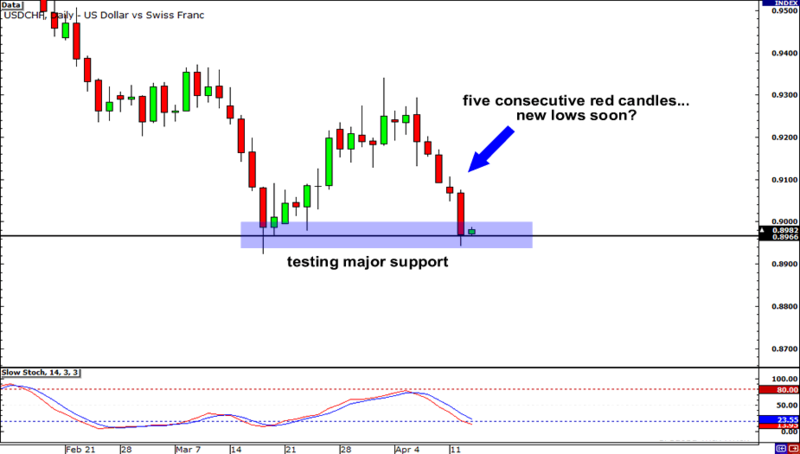 Five – that’s the number of days USD/CHF has fallen. With traders having such a bearish attitude towards the pair, it looks like the pair is poised to make a new low. Yeah, yeah, Stochastic already shows that the pair is oversold, but yesterday’s very long candle indicates that the bears are in total control of the pair. I wouldn’t be surprised if we see a break of support and see the pair touch .8800 soon! 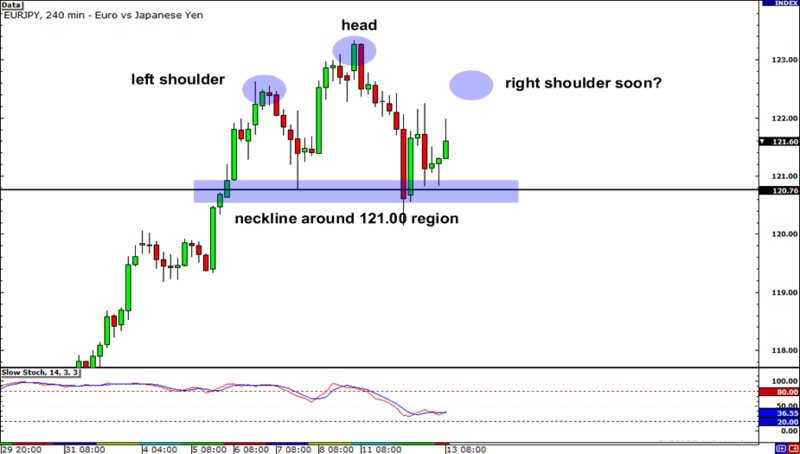 Open your eyes folks, because it looks like a head and shoulders pattern is potentially forming on EUR/JPY! What a beaut! If you’re bullish on the pair, then now is a good time to consider buying, especially since support at the 121.00 major psychological level held nicely yesterday. You never know… We just may see traders push the pair back up to the 122.50 region to form the right shoulder. 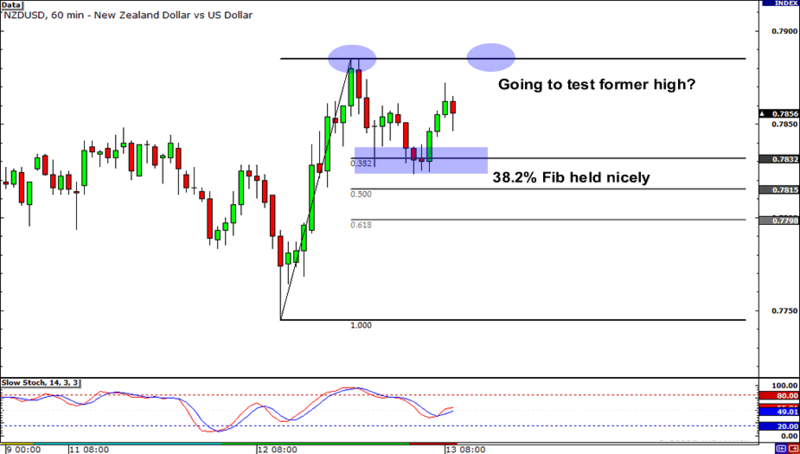 NZD/USD’s price action in the past few days shows why I just love Fibonacci retracement levels! The Fibonacci tool gives us traders a way to predict where price could possibly find support. As you can see from the chart, the 38.2% Fib level has held nicely twice. If you’re part of the bull camp, then look for price to retest the former high at .7885.